The healthcare industry was slow to adopt social media, but it’s becoming increasingly more aware of its benefits. In the U.S., healthcare professionals and care providers have joined patients online, and the trend seems to be spreading. Researchers at UMC St. Radboud conducted a study of the use of social media by hospitals in 12 Western European countries. Included in the online survey were 873 hospitals, of which 732 were general hospitals and 141 were university hospitals. 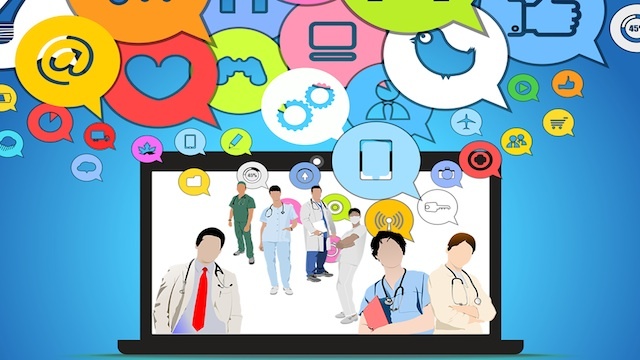 The study revealed that the use of social media in and by hospitals has grown significantly in all of the countries. Social giants, including YouTube, Twitter, LinkedIn, and Facebook saw impressive spikes between 2009 and 2011. Twitter usage increased by 18 percent, while YouTube and LinkedIn saw increases of 18 percent and 12 percent, respectively. Facebook — which was a popular choice among hospitals in the United Kingdom — saw the biggest spike in usage, going from 10 percent to 67 percent. But while adoption has increased, it seems that not all hospitals are using social media to its full potential. Only five percent of all 873 hospitals had a link to their YouTube channel and 10 percent had a link to their Twitter feed on their websites. Many hospitals have Facebook Pages, but less than half utilize Facebook Groups, and an even smaller portion include a link to their Groups on their websites. As with any new strategy there are bound to be some growing pains; the important thing is that adoption is growing. We recommend that healthcare professionals and providers new to social media research best practices and learn from what others in the industry are doing. Additional data is available in the infographic below.